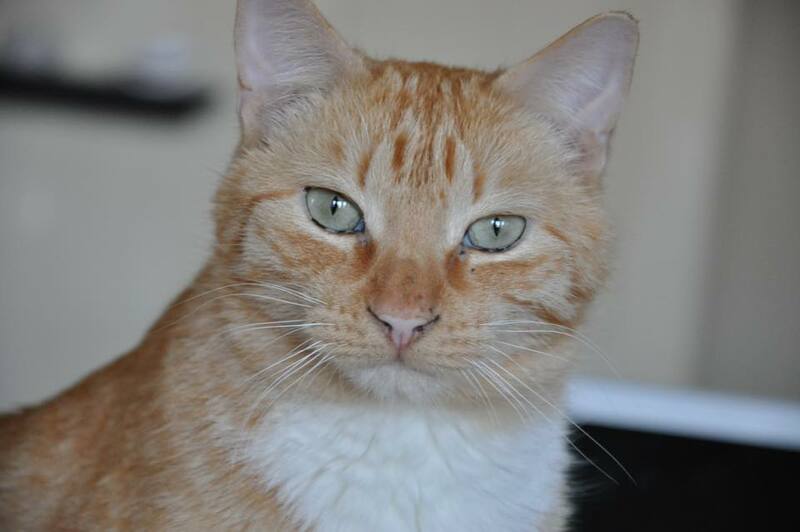 Have you ever looked at a cat and wondered why on earth they have such creepy slits for pupils? Scientists previously thought slit pupils were an advantage for being active both day and night because they can change so much in area, giving cats more control over how much light enters their eyes. But a new study published this week in Science Advances shows vertical slits provide other visual benefits that help cats and other predators to find food. And horizontal slits help their prey escape becoming a meal. “It turns out, slit orientation matters,” says Martin Banks, lead researcher of the study and a professor of optometry at the University of California, Berkeley. Cats are ambush predators. And like cats, the vast majority of ambush hunters also have vertical pupils. These predators hide patiently, and then strike suddenly. That means they need to estimate the distance to their food accurately. Turns out, vertical slit pupils are ideal for this job. Pupils work just like a camera aperture. When a camera is focused on an object, things that are closer or farther away appear blurry. The range that’s in focus is called depth of field. Photographers control depth of field by changing the size of the opening. Smaller aperture, wider depth of field. But the aperture of a slit pupil is smaller in one direction than the other. So the depth of field is also asymmetrical. 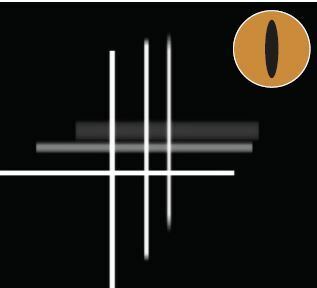 For cats, this means vertical lines behind the focal point stay relatively sharp, but horizontal lines at the same distance are completely blurry. And that gives the hunters more precise cues to pinpoint their food. The ability to see sharper vertical lines improves the predator's ability to estimate distance. And the blurry horizontal lines are also a distance cue themselves. But Banks found that these benefits only hold for smaller animals that are closer to the ground. Taller animals can’t use that extra distance information from blur. 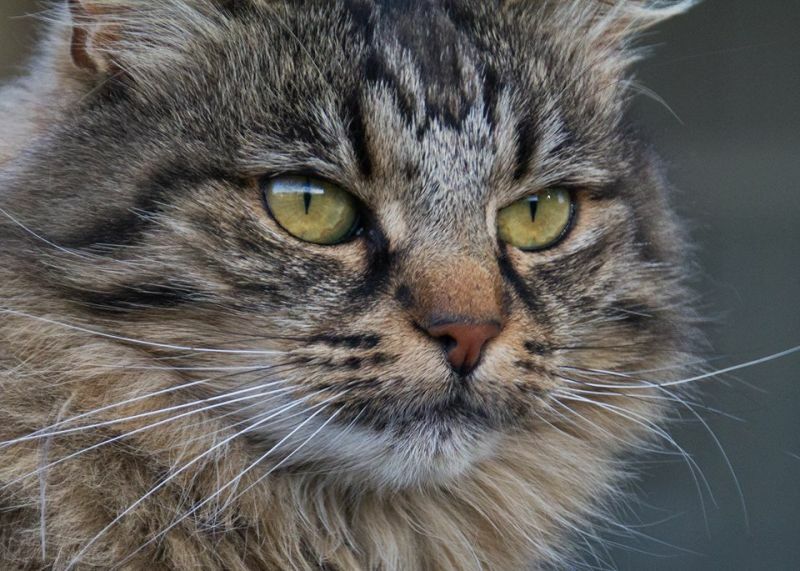 That's why big cats like lions and tigers have round pupils, whereas smaller cats have slit pupils. 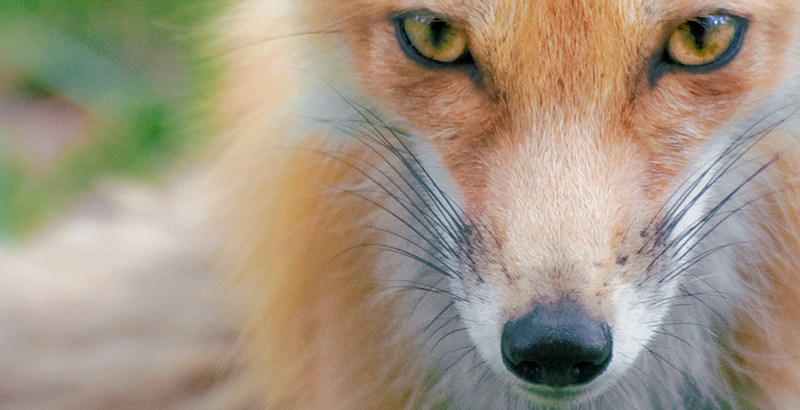 Animals that are likely to be prey also tend to have slit pupils, but they are oriented horizontally. Their eyes are also usually on the sides of their head: an adaptation to scan for predators in all directions. And when they detect a predator, they run. 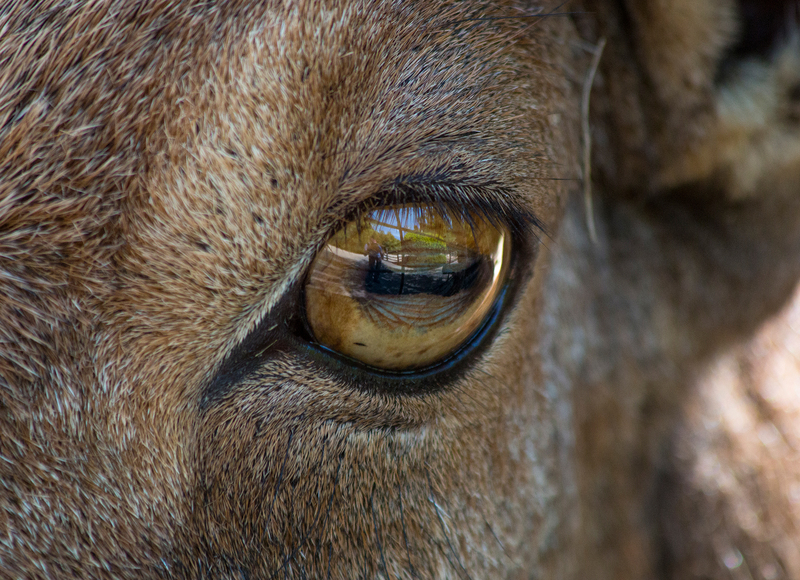 In a prey animal, a horizontal slit pupil gives the eye the most light from the sides and less from above. And that’s a good thing because it means the animal is getting more light from what’s basically in front or behind it and less dazzling sunshine from above. But what happens when grazers lower their heads to feed? Do their horizontal pupils become vertical? Can they still see panoramically? To find out, Banks spent several hours at the Oakland Zoo, photographing sheep and goats with their heads up and down. “And by golly, when they pitch their heads down, the eyes rotate so the pupils stay parallel to the ground,” he says excitedly. 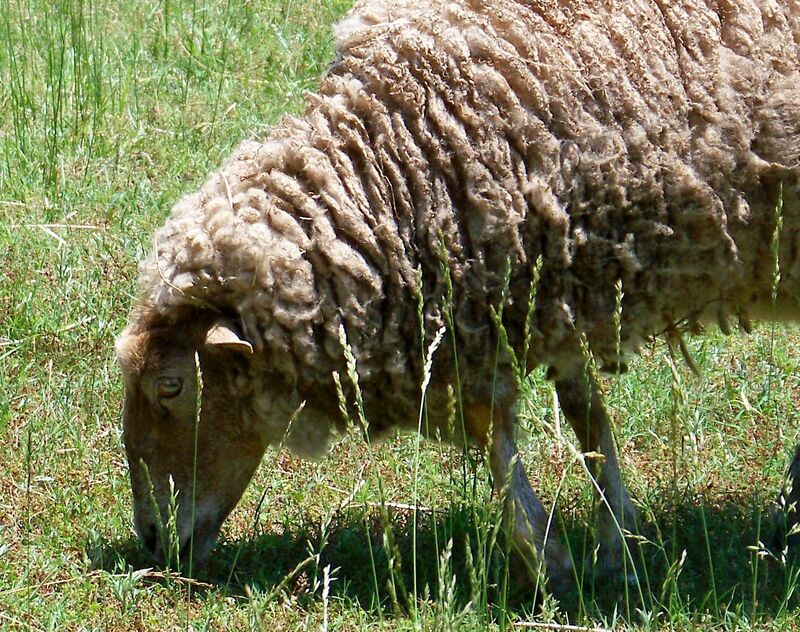 In fact, sheep can rotate their eyes up to 50 degrees to maintain horizontal pupils. And the eyes have to rotate in different directions -- one clockwise, the other counterclockwise. Heesy suggested that analyzing mammals separately and including a wider range of species like rodents, primates and marsupials would give a stronger test of the authors’ theories. He would also like to see more discussion of the animals that buck the trends. Like the mongoose. It's an ambush predator, but it has horizontal slit pupils. “The most interesting cases, of course, are the counter examples that don’t fit the pattern,” he says. So, the next time you find yourself face to face with a cat, remember this: it knows exactly how far away you are.